Remember how Bethesda said it’d only really do E3 shows if it had something worth showing? 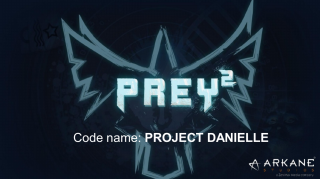 Sounds like we might have an idea now of what’s on the way, with two sources whispering ‘Prey 2’. Both Kotaku, and a fan site called aliennoire, are talking about an E3 reveal. The latter is interesting as it was one of the previous sources behind the rumour that Dishonored dev Arkane had taken over development from the original Human Head Studios. Kotaku on the other hand seem sure enough to mention it, if not report on it fully. That June 14th date seems a little unlikely however considering Bethesda’s E3 show is on the 12th. While Bethesda has said little about the canceled sequel, there’s been a ton of rumours floating around that Arkane Austin has been working on it in secret, possibly reworking the entire game from scratch. Current talk suggests that it might not even be called ‘Prey 2’ anymore. The rumours are slim but match up with what’s previously been leaked. That's both good and bad as, potential reveal date aside, there's not really anything new. There's also a rumoured early design doc mentioning the codename ‘Danielle’ and reiterating that 'spiritual successor to System Shock' thing, highlighting player choice, as well as upgrades and multiple options and solutions. A second set of design docs seems to potentially continue that System Shock influenced idea with specific mention of psionics, and a setting one month after the original System Shock 1. There are several potential settings here involving aliens, 50-style retro futures, and islands, but all tied together via an AI called Danielle. Those 2 documents are from last year and, if true suggest that whatever we (may) get at E3 will look vastly different to the original game. However, if it’s basically Dishonored in space then I am all over that.